Every day, roughly 10,000 Baby Boomers turn 65, and by 2040, older adults are expected to make up more than 20 percent of the population. This demographic change has been dubbed “The Silver Tsunami.” As the affordable housing crisis continues nationwide, and in many places worsens, and as federal resources for senior housing continue to disappear, many worry about where the country’s seniors will live, especially those with low incomes. 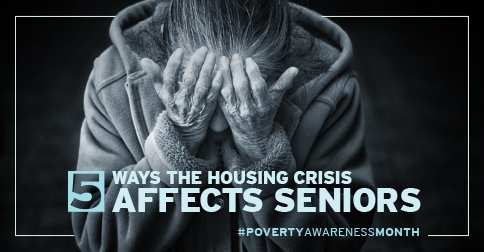 These concerns are valid: many low-income seniors can’t find housing and end up on the streets. 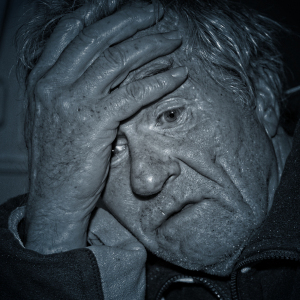 Others end up hospitalized for conditions aggravated by a lack of housing. And many end up in nursing homes, simply because they have nowhere else to go. In honor of Poverty Awareness Month, we offer you these five facts about how the affordable housing crisis affects this vulnerable population. 1. 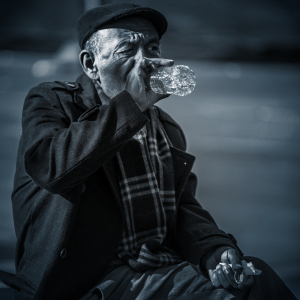 Almost half of adults ages 65 and older live in poverty. 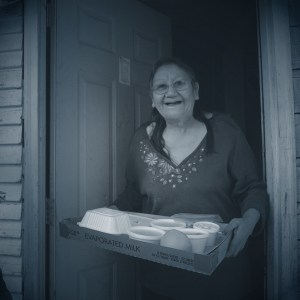 “Close to half (45%) of adults ages 65 and older had incomes below twice the poverty thresholds under the SPM [Supplemental Poverty Measure] in 2013,” according to an analysis by The Henry J. Kaiser Family Foundation. The analysis also found that in 2013, half of all people on Medicare had incomes less than $23,500. Any young, able-bodied person would have a hard time living on this paltry sum, so it’s not surprising that seniors with this annual income also struggle to make ends meet. 2. Most people want to maintain their independence as they age. A survey conducted by the AARP found that 88% of respondents over the age of 65 wanted to stay in their current home as long as possible, and 92% said they wanted to stay in their communities. In order to be able to remain in their homes and communities, though, aging seniors need affordable housing that suits their unique needs. 3. Only one percent of the current housing stock offers housing truly designed for people with disabilities. By 2035, the number of older households with a disability will increase by 76% to reach more than 31 million, according to the Joint Center for Housing Studies of Harvard University (JCHS). 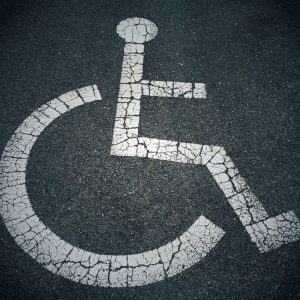 What makes a home ideal for a person with disabilities? According to the rules of universal design, people with disabilities need homes that have no steps to the entrance, single floors, wide halls, and doorways (to accommodate wheelchairs, electrical outlets that are reachable from a wheelchair, and lever-style handles on faucets and doors. Only one percent of the current housing stock offers housing designed for this population. 4. 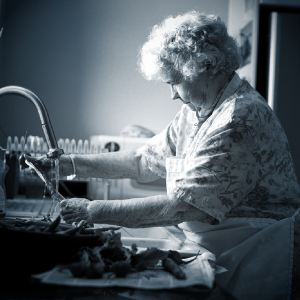 Older adults on Supplemental Security Income (SSI) receive, on average, just $435 each month. How can a paltry $435 even begin to cover your expenses if the average fair market rent for a two-bedroom home in the U.S. is $1,056 per month? 5. One-third of senior households has no money left over each month or is in debt after meeting essential expenses. What can you do with this information? You can share it to spread awareness, donate to an affordable housing nonprofit, become an advocate, or all three!